It would not be controversial to say that Disney’s historical record of representing women is complicated at best. It becomes even more complicated when we consider the Disney Princess franchise, a plethora of paratexts that arguably undermine any progressive readings that can be gleaned from the films from which the princess characters originate. This post examines the paratexts of Frozen (2013, by Chris Buck and Jennifer Lee) – Disney’s most celebrated and successful ‘princess film’ to date – and situates them within the history of Disney’s animated princess films and paratexts. This is highly revealing about the degree to which they have presented the importance of female solidarity. Both Disney’s princess characters and the Disney Princess franchise have been criticized for promoting regressive ideals of femininity to children. Of particular relevance to this post is that the princess films have a history of pitting female characters against each other, from Snow White vs. the Wicked Queen to Rapunzel vs. Mother Gothel. These relationships are of antagonism and competition to gain ‘power-over’ one another, rather than forming ‘power-with’ each other. With the growing popularity of the Bechdel Test as a measure of female representation in popular culture, and the #metoo movement demonstrating the cultural importance of women supporting each other in the face of misogyny and harassment, it is pertinent to examine how this is represented in the globally popular films of the Disney studio. By grouping princess characters together, the Disney Princess franchise offers the possibility of allowing them to communicate with and support each other in ways that their filmic narratives do not allow. Yet, if we look closer, we see that their physical proximity does not necessarily increase their ability to interact in positive ways, as they do not look at each other or appear to be aware of each other (fig. 1). This is not a coincidence, but rather a ‘rule’ of the franchise so as not to disrupt their individual mythologies. These paratexts therefore prevent opportunities to encourage meaningful female solidarity where it is already absent within the films. Fig. 1. An example of official Disney Princess merchandise. The princesses do not appear to be aware of each other, despite their apparent physical proximity. Things improve with Frozen and Brave (2012, by Mark Andrews and Brenda Chapman), both of which present relationships between women that are more complex and nuanced than in any prior Disney princess film (it is likely no coincidence that each of these films also have female writer-directors with Jennifer Lee and Brenda Chapman, respectively). This post focuses on the former movie because its pre-release paratexts implied that Frozen would follow in the footsteps of Snow White and the Seven Dwarfs (1937, by David Hand) et al. by presenting a princess endangered by a queen with dangerous magical powers. Jonathan Gray argues that, through paratexts, ‘films and television programs often begin long before we actively seek them out’, and that the information we receive about a text before seeing it is as crucial to the construction of a text’s meaning as the text itself. In this regard, Frozen begins with the common knowledge that the film is a loose adaptation of the fairy tale The Snow Queen (1844), in which the titular queen is the villain. In Frozen the role of the Snow Queen is held by Elsa, but she is reconstructed as a sympathetic character who is misunderstood and ostracized due to her magical powers. Yet, the trailers play into the idea of the Snow Queen by depicting her as an antagonist – that is, when she features at all. The teaser trailer, for example, features only a comical skit involving the snowman Olaf and the reindeer Sven– a scene that does not appear in the film. A more informative theatrical trailer hardly features Elsa, but establishes within the first 20 seconds that her powers are dangerous. This trailer is very precisely crafted in order to imply that Elsa is a typical Disney villainess, even if her physical appearance is more that of a ‘princess’ than that of a ‘wicked queen’. 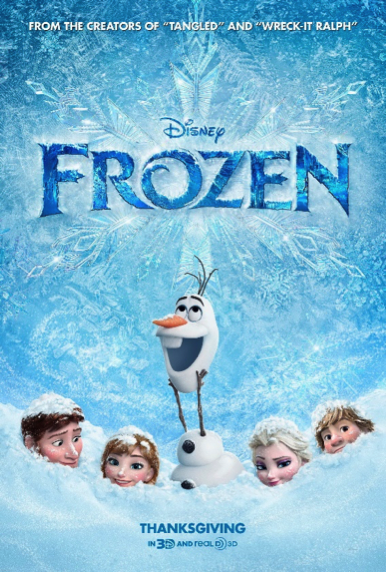 The film’s posters are also complicit in this: one shows Elsa dominating the top-half, hovering above the other characters in a spell-casting pose. This follows a Hollywood trend in which villains loom ominously over protagonists, as seen in examples as varied as Star Wars (1977, by George Lucas) and No Country for Old Men (2007, by Joel and Ethan Cohen) (fig. 2). Fig. 2. The posters for Frozen, Star Wars and No Country for Old Men all imply who the villains are through their spatial arrangement. Frozen’s pre-release paratexts continued to imply that Frozen follows a predictable fairy tale narrative by constructing Hans (the film’s true villain) as the ultimate Prince Charming. The above trailer refers to him as ‘The Nice Guy’, while posters position him next to Princess Anna (Elsa’s sister), implying that they are (or will be) a couple (fig. 3). Fig. 3. 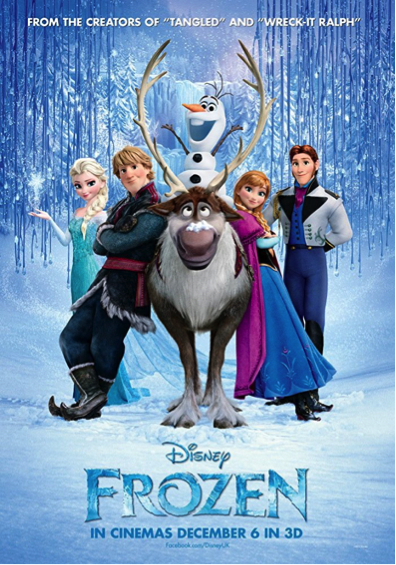 This Frozen poster implies that Anna and Hans are a couple before audiences have seen the film. However, another poster contains a subtle hint toward Hans’ nefarious nature: he is shown gazing intently at Anna, to whom he becomes engaged before betraying her at a pivotal moment in the film. On the poster, Anna remains blissfully unaware that she is being watched. This invites a double reading of Hans’ gaze as either loving or predatory, depending upon one’s knowledge of the film’s twist (fig. 4). Fig. 4. This Frozen poster foreshadows Hans’ eventual betrayal. Through these pre-release paratexts, Frozen was set up to be a ‘traditional’ Disney fairy tale in which a wicked sorceress threatens to prevent the romantic coupling of a prince and princess. Of course, the film subverts this by presenting Elsa as a sympathetic victim, and by prioritizing female solidarity over heteronormative romance when Anna sacrifices herself to save Elsa’s life. Though there are arguably many reasons why Frozen was (and remains) so popular and lucrative, the contrast between what the paratexts imply and what the film presents suggests that part of its appeal lies in the surprising and refreshing direction it took with its female characters. Post-release, Frozen paratexts like the picture book A Sister More Like Me (2013) and short film Frozen Fever (2015, by Chris Buck and Jennifer Lee) continue to expand upon Anna and Elsa’s relationship, while merchandise shows them embracing, holding hands and looking at each other (fig. 5). Fig. 5. Official Frozen merchandise continues to communicate the film’s theme of female solidarity. Although the sisters have not been officially inducted into the Princess franchise, this is in clear violation of the ‘no eye contact’ rule. With a feature-length sequel due in 2019, we can hope that this rule-breaking will continue to demonstrate the joy and importance of female bonding. Catherine Lester as Associate Fellow at the University of Warwick, where she completed her PhD thesis on children’s horror films. A monograph based on this research is forthcoming with I.B.Tauris. Catherine is also organizing the forthcoming symposium The Legacy of Watership Down: Animals, Adaptation, Animation at the University of Warwick in November 2018. Jill Birnie Henke, Diane Zimmerman Umble and Nancy J. Smith, ‘Construction of the Female Self: Feminist Readings of the Disney Heroine’, Women’s Studies in Communication 19, no. 2 (1996), p. 245. Peggy Orenstein, Cinderella Ate My Daughter: Dispatches from the Front Lines of the New Girlie-Girl Culture (New York: Harper Collins, 2011). It is, of course, entirely possible for child consumers to make up their own games in which they interact as princesses or have their princess dolls interact with each other during play. Some princess characters have also recently appeared as ‘Easter Eggs’ in each others’ films, such as Rapunzel in the background of a scene in Frozen. Disney Princesses have also appeared in the television series Sofia the First (2012-), but never in the same episode. The Disney Princesses are also to appear together in the forthcoming Wreck-it-Ralph 2: Ralph Breaks the Internet (2018). 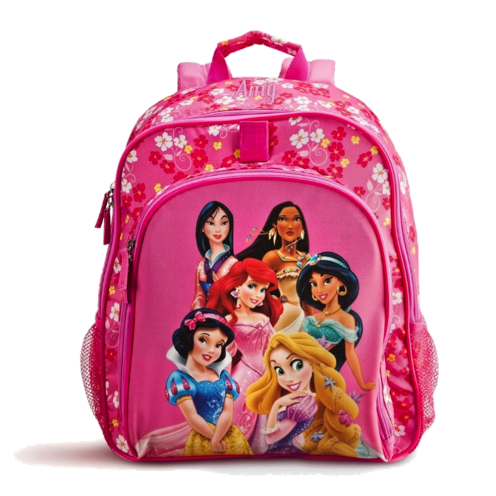 Nevertheless, it is still concerning that the princesses do not interact within the diegeses of their films or on official Disney Princess merchandise. Jonathan Gray, Show Sold Separately: Promos, Spoilers, and Other Media Paratexts (New York: New York University Press, 2010), pp. 47-48. Concept art in The Art of Frozen (2013) shows that Elsa was indeed conceived to be a classic villain in early stages of the film’s development, but these would not have impacted audience perception as they were not widely available before the film’s release.